Evaluation and development of forest management guidelines to improve forest health, sustainability and value. Dwyer’s current research emphasis has been in the evaluation and assessment of production from various cottonwood clones collected from the Midwest. Along with this evaluation of physical productivity is the evaluation of cottonwood flood tolerance under various flooding regimes. Dwyer has also been involved in the management of northern red oak and sugar maple grown on Menominee Tribal Lands in Wisconsin. These studies involve determining the relationship between tree characteristics and volume and value of these trees managed over time. Dwyer is also involved in determining the impacts of raising cattle, forage, and thinning on Ozark oak stand dynamics. 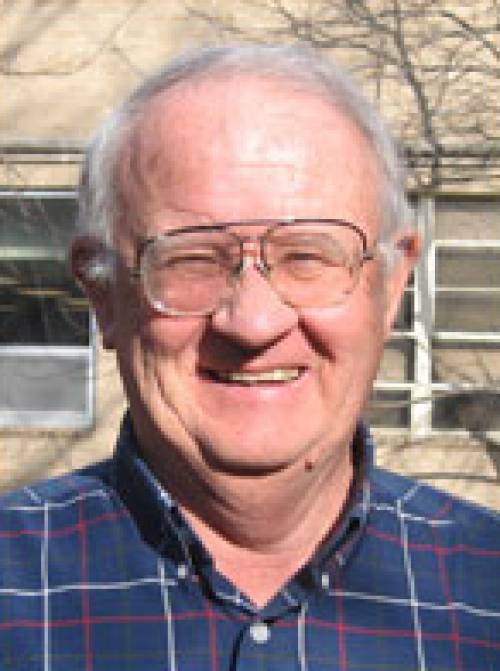 His other interests include using low-value, small diameter hardwoods in bio-fuel projects to reduce hazardous fuels buildup and also to improve the health and growth of stands suffering from Red Oak Decline and Red Oak Borer infestation. He also has an interest in the identification and evaluation and development of superior black walnut cultivars for timber production. Dwyer, J.P. and D.C. Dey. 2006. Product recovery from tree grade 1 northern red oak on Menominee Tribal Lands. in Proc. 15th Central Hardwood Forest Conference held February 27 – March 1, 2006 in Knoxville, TN. (Accepted for publication). Dwyer, J.P., and J.M. Kabrick, J.J. Wetteroff. 2006. Do improvement harvests mitigate Oak Decline in Missouri Ozark Forests? Northern Journal of Applied Forestry. (Accepted for publication). Dwyer, J.P., Larry D. Godsey and H.E. “Hank” Stelzer. 2005. Managing Your Timber Sale Tax. Agricultural MU Guide 5056, University Extension, University of Missouri-Columbia. 4p. Treiman, T. and J. Dwyer and D. Larsen. 2005. Long-term economic simulation: Even-aged and uneven-aged examples from the Missouri Ozark Forest Ecosystem Project (MOFEP). Northern Journal of Applied Forestry. 22(1):42-47. Ficklin, R.L., J.P. Dwyer and R.D. Hammer. 2004. Changes in soil organic carbon concentration and quantity following selection harvesting. in Proc. 14th Central Hardwood Forest Conference, March 16-19th, Wooster, OH. Gen. Tech. Rep. NE-316. Newton Square, PA: USDA. Forest Service. Northeastern station. Pp. 217-223. Treiman, T. and J.P. Dwyer. 2004. Will landowners adopt reforestation practices? Answers from the Missouri River floodplain. in Proc. 14th Central Hardwood Forest Conference, March 16-19th, Wooster, OH. Gen. Tech. Rep. NE-316. Newton Square, PA: USDA. Forest Service. Northeastern station. Pp. 288-296. Dwyer, J.P., D.C. Dey, W.D. Walter, and R.G. Jensen. 2004. Harvest impacts in uneven-aged and even-aged Missouri Ozark Forests. Northern Journal of Applied Forestry. 21(4):187-193. Walter, W.D. and J.P. Dwyer. 2003. Survival results of a biomass planting in the Missouri River flood plain. in Proc. 13th Central Hardwood Forest Conference, April 1-3, 2002. Urbana, IL. Gen. Tech. Rep. NC-234. St. Paul, MN: USDA. Forest Service. North Central Research Station. Pp. 177-185. Allen, S.B., J.P. Dwyer, D.C. Wallace and E.A. Cook. 2003. Missouri River flood of 1993: Role of woody corridor width in levee protection. Journal of the American Water Resources Association. 39(4):923-933. Dwyer, J.P. and S.G. Jones. 2002. Determining timber cost basis. Agricultural MU Guide 5055, University Extension, University of Missouri-Columbia. 2p. Grabner, K.W., J.P. Dwyer and B.E. Cutter. 2001. Fuel model selection for BEHAVE in Midwestern oak savannas. Northern Journal of Applied Forestry, 18(3):74-80.